Beauty and bounty – Page 12 – cosmestics. wellness. lifestyle. Here lies a list of my favorite podcast that teach the most random and interesting things about current events, economics, technology, business, and absolutely everything in between. I spend a shameful amount of time listening to podcasts and I love a wide range of genres from true crime to comedy . I love podcasts that are interesting, entertaining, and educational – I feel slightly more accomplished listening to podcasts that teach me something new about the world. 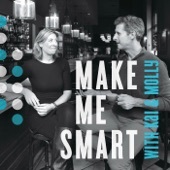 Make Me Smart is from the makers of Marketplace and covers business, economics, and culture. Kai and Molly have a great banter and really take the time to discuss and explore topics. 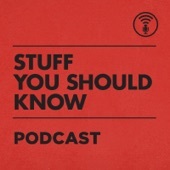 Most episodes feature an interview with a leader in their field and the final question is always “What’s something you thought you knew, but later found out you were wrong about?” Some of my favorite episodes have been “Reddit CEO Steve Huffman is not Horsing Around” and “Beware the Nurtured Narrative”. 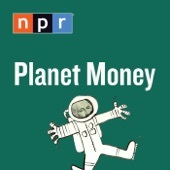 Planet Money was birthed from This American Life’s coverage of the housing market collapse and examines economics in a hands-on way. The reporters learn about off shore banking by setting up their own shell company (Unbelizable Inc.) in “We Set Up an Off Shore Company in a Tax Haven”. And they buy 100 barrels of oil and follow it through the process of getting out of the ground and in to a gas tank in a series starting with “We Buy Oil”. The show truly makes learning about economics entertaining. 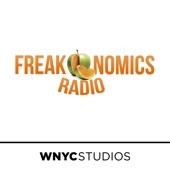 Freakonomics is a wonderful combination of storytelling and teaching economic theories and principles – think This American Life meets Econ 101. Some standout episodes are “Ten Ideas to Make Politics Less Rotten”, “Do Boycotts Work”, and “Should We Really Behave Like Economists Say We Do”. 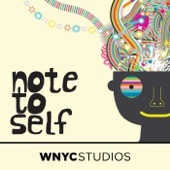 Note to Self examines what it is like to thrive in our modern, technology-filled world. It asks tough questions that challenge the role of technology in our lives. I really loved their program Infomagical, a week long project that helps you reflect on your relationship with technology. Benonite clay is made from volcanic ash and contains minerals like magnesium, potassium, iron, sodium and calcium. Benonite clay is very common in face masks, it can also be bought as a plain powder and mixed into a mask by adding water. For the skin, benonite clay can draw out impurities, minimize the appearance of pores, remove dead skin cells, soften the skin, and reduce inflammation. Besides all of the benefits for complexion, benonite clay can be used to sooth burns, bug bites, and rashes. There are also quite a few unique uses of benonite; the clay can be used as a mattifying face powder – it does mattify, but my face looked dull and cakey. You could mix some in with your toothpaste to amp up your oral health – I tried this too, but I didn’t really notice anything amazing. According to the internet, benonite clay can also be ingested for a whole variety of digestive benefits – I haven’t tried this and I’m not sure I will, let me know if you have! I really like to use benonite clay as a clarifying face mask once week or two. If my skin is very congested, a benonite mask does a great job of drawing out the gunk on a budget! When my skin is breaking out, I really like to use May Lindstrom’s The Problem Solver, but I can’t bring myself to use it too frequently because it’s like liquid gold. The morning after a simple clay mask I have a great skin day – my skin feels softer, my pores look tighter, redness is reduced, and post acne marks smaller – there is noticeable improvement in my skin. Some people mix benonite with apple cider vinegar, but I don’t because ACV is too acidic for my liking. Have you tried one of the more unique uses of benonite clay? Let me know, I might try a benonite hair mask on one of my more adventurous days! Double date night in town to dinner and a show. I am pretty fair and have a really difficult time finding bronzers or contours that go well with my skin tone and look natural on me. My favorite contour isn’t even a contour powder, it’s Ambient Lighting Powder in Dim Light by Hourglass! I am pretty fair and have a really difficult time finding bronzers or contours that go well with my skin tone and look natural on me. My favorite contour isn’t even a contour powder, it’s Ambient Lighting Powder in Dim Light by Hourglass! For my completion, I usually favor a “my face by better” look and that is why I love to contour with Dim Light. You would have to be pretty fair for this trick to work for you since Dim Light is the darkest Ambient Lighting Powder. But if you have similar skin tone to me, it can accentuate cheek bones or reshape the nose so subtlety and naturally. I learned this trick from Mary Greenwell as she went through her pro gab on YouTube.